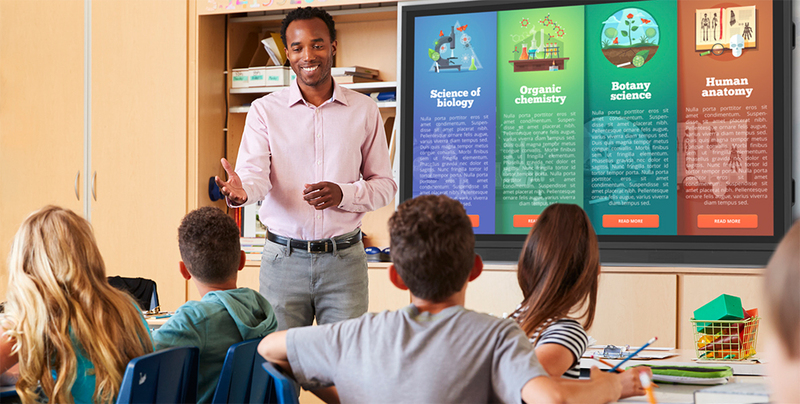 A centerpiece for classroom collaboration, ViewSonic® ViewBoard® display delivers incredible interactive capabilities for 21st century classrooms. Huge touchscreens and easy-to-use annotation software makes interactivity a snap, and empowers K-12 classrooms with instant collaboration and content sharing. For enhanced computing power and advanced interactive capabilities, a slot-in PC can be added to the display, while a choice of wall mounts and trolley carts provide additional flexibility. First-time ViewBoard display buyers can now enjoy exclusive low prices and FREE all inclusive shipping! * To take advantage of this special offer, simply purchase a select ViewBoard accessory along with the ViewBoard display of your choice. 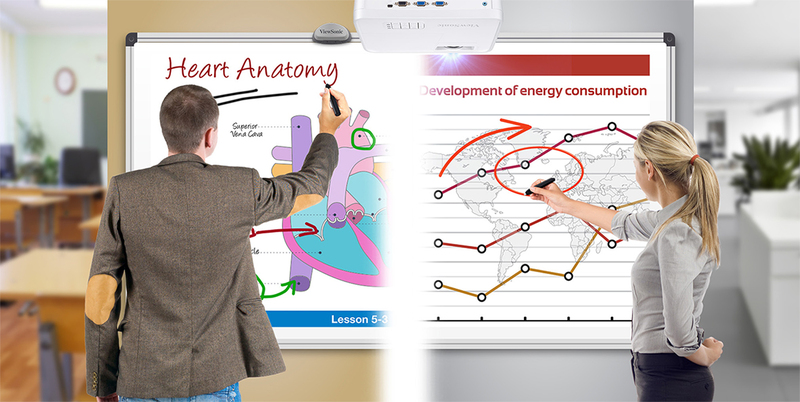 A centerpiece for classroom collaboration, ViewSonic® ViewBoard® interactive flat panels deliver incredible interactive capabilities for 21st century education. A highly accurate InGlass™ touchscreen provides an incredibly natural handwriting experience, and allows multiple users to simultaneously write or draw on the screen with their fingers and styluses. Easy-to-use annotation software makes interactivity a snap, and empowers K-12 classrooms with instant collaboration and content sharing. First-time ViewBoard display buyers can now enjoy exclusive low prices and all inclusive FREE shipping! * To take advantage of this special offer, simply purchase a select ViewBoard accessory along with a ViewBoard display of your choice. 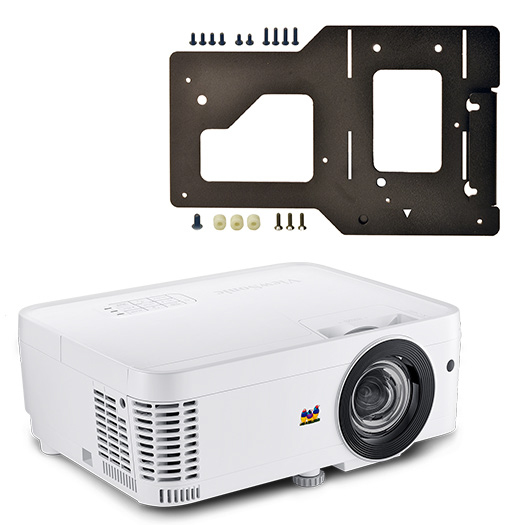 TO BUY One easy price includes a ViewSonic® projector and Adapter Plate for ultra-short throw projection right out of the box. TO SET UP Installation typically takes less than 30 minutes and requires no prior installation experience or training. 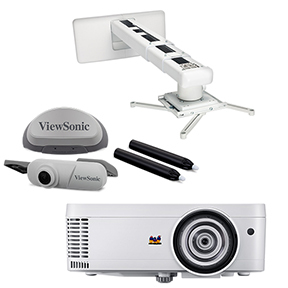 TO USE The ViewSonic® Projector and Adapter Plate Bundle makes it easy to replace old SMART or Promethean projectors – without having to purchase a new and expensive whiteboard! 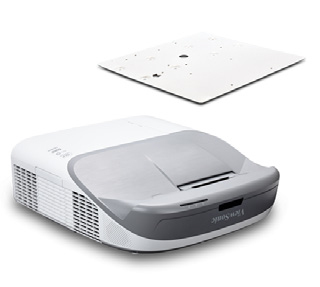 REPLACEMENT SOLUTION CHOOSE ONE (1) ULTRA-SHORT THROW PROJECTOR + ADAPTER PLATE = EASY PRICE! 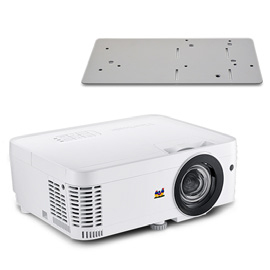 TO BUY One easy price includes a ViewSonic® projector and Adapter Plate for short throw projection right out of the box. 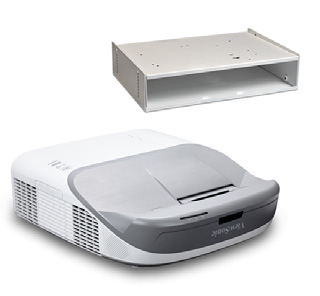 REPLACEMENT SOLUTION CHOOSE ONE (1) SHORT THROW PROJECTOR + ADAPTER PLATE = EASY PRICE! When you’re looking for the ultimate digital whiteboard solution, ViewSonic ViewBoard interactive flat panel displays let you connect and collaborate like never before. 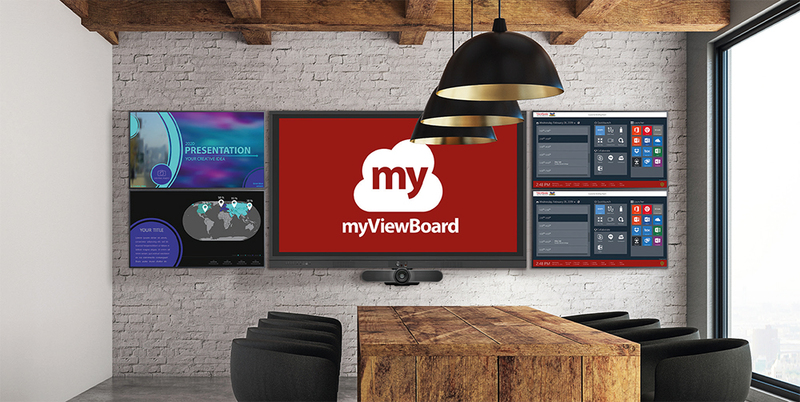 Featuring huge 4K touchscreens, hardware-based authentication, and secure myViewBoard™ software, ViewBoard displays offer a customizable, secure, and future-proof whiteboarding solution for any meeting room. • Stunning Resolution: These 4K Ultra HD 3840x2160 displays deliver a breathtaking viewing experience with immersive images that are vibrant, clear, and as large as life. • myViewBoard Software: With myViewBoard software, your files follow you wherever you go. Cast a presentation from your phone, turn it off, then start up again in another room or another office! Files can be securely accessed, retrieved, and saved with just one touch from anywhere in the world! • Built-in security: An integrated FIPS-201 certified, Windows Hello fingerprint reader allows for convenient and secure single sign-on where users leave no trace behind. • Seamless Enterprise Integration: ViewBoard interactive displays are software agnostic and optimized for multiple operating systems. First-time ViewBoard display buyers can now enjoy exclusive low prices and all-inclusive FREE shipping! * To take advantage of this special offer, simply purchase a select ViewBoard accessory along with a ViewBoard display of your choice.